All his life, Jacob had listened to his Grandpa's tales of growing up in a children's home during the War. The monsters were after him, he said. He often showed Jacob photographs of the children who lived there - peculiar children with unusual powers like invisibility. Eventually, Jacob stopped believing his Grandpa, attributing his stories to his progressive dementia. But after the old man's disturbing death, Jacob slowly begins to realize that his Grandpa was telling the truth. To find out more, he travels to a remote Welsh island on which the ruins of Miss Peregrine's Home is found. What he finds there is even stranger and more frightening than he ever imagined. An eerie, fantastic story, made even creepier with its disturbing photographs. View the effective and mysterious book trailer at http://www.ransomriggs.com/. Twelve-year-old Caitlin has Asperger’s syndrome. With the help of her school counselor, Mrs. Brook, she struggles to understand emotions, show empathy, and make friends, all while dealing with a personal tragedy – the death of her older brother Devon in a school shooting. Devon wasn’t the only person killed. A teacher and another student were too. The entire community has been traumatized, and everyone is trying to find closure. Caitlin doesn’t Get Closure. (Do you know how to get to the state of experiencing an emotional conclusion to a difficult life event?) It’s hard to find, but you have to Work At It. You have to try even if it’s hard and you think you can never do it and you just want to scream and hide and shake your hands over and over and over. She doesn’t think she’ll like making friends either, because it’s going to hurt. But after the hurt I think maybe something good and strong and beautiful will come out of it. Caitlin is a very endearing character. Her misunderstandings of others and their misunderstandings of her is painful yet humorous at the same time. Erskine sympathetically shows that even though Caitlin doesn't display emotion (apart from her tantrums), it does not stop her from having emotions. Her courage and strength is inspiring. Like Caitlin in Mockingbird, Marcelo Sandoval has Asperger's Syndrome. Unlike Caitlin, he is able to function quite well, so well, in fact, that his father doesn't really believe that there's anything wrong with him. He wants Marcelo to work at his law firm for the summer and join the "real world". There, he meets Jasmine, his supervisor, and Wendell, the conniving son of one of the firm's partners. Marcelo learns a lot about competition, jealousy, anger and desire. But when he finds a picture in a file - a girl with half a face - he discovers suffering and injustice, and is determined to make things right, even at his father's expense. Marcelo is an intriguing character. Unable to fully grasp the underlying meanings behind a person's words and actions, he observes, questions, and says things with a disarming honesty and directness that causes others to open up and reveal their innermost feelings. Along the way, he finds that the real world is manageable after all, and is able to make plans for the future. Music can bring people together, like being in a band (Variations on a Theme), help with one’s identity (A Warrior Song), be a source of comfort, solace, or strength (Tangled Notes in Watermelon, Piano Obsession, The Gypsy’s Vioin, The Song of Stones River ). The best stories are What a Song Can Do, by David Levithan and Ballad of a Prodigy by Jude Mandell. Both are written in verse, and both deal with teens who are trying to make their own way. and who and what I’m meant to be. Eleven stories in which characters question prevailing attitudes about race and appearances. There's Noelle, who dares to expose the mistreatment of Haitian students at her school (Snow by Sherri Winston), Sami, a Palestinian struggling with guilt over 9/11 (Hum by Naomi Shihab Nye), DeMaris, who can't understand why a white girl can't sit at the black kids' table (Epiphany by Ellen Wittlinger), and Bianca, who, like Jemma, is in love with the wrong boy (Hearing Flower by M.E. Kerr and Gold by Marina Budhos). Their stories are troubled, funny, sad, or fierce, but all are very hopeful. White Noise, and The Big Bug Book. A find-the-dot app that should keep little ones busy. 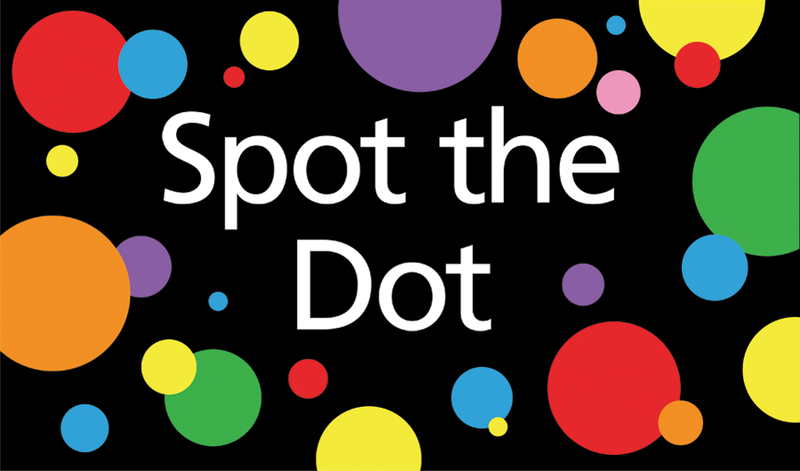 The dots are easy to find at first, but get progressively harder with each colour. The bright animation is appealing, as is the unobtrusive background music. However, the narration can't be turned off, and there's no restart button, forcing you to exit the app before trying again. I also felt the app could have been more interactive. Instead of just touching the screen, kids would really like shaking the screen or blowing on it to move the dots around. As well, I thought that the purple dot was too easy to put together. If the pieces changed shape each time, or was better hidden, finding the dot would be more challenging. Here's hoping the app will be updated in future to address the above problems. It would make Spot the Dot even better. In the meantime, I'll stick with Carter's pop-up books. Backyard at Twilight is the newest Stella and Sam app. In another charming story, Stella and Sam spend a night in the backyard, chasing insects and searching for the Night Giant. Activities consist of bug hunts, firefly pictures, and connect-the-stars. A minor quibble is the missed learning opportunity in the connect-the-stars game. Instead of polar bears and unicorns, actual constellations could have been shown, thus providing a subtle lesson in astronomy. However, for small children, Stella and Sam apps are still perfect. If we know where our food comes from, we can make better choices. For two hundred years, the seas along the Scottish coast claimed thousands of ships and lives. When shipowner and merchant losses became too high, the Northern Lighthouse Trust was established in 1786. They sought out engineers to construct lighthouses along the Scottish coast. 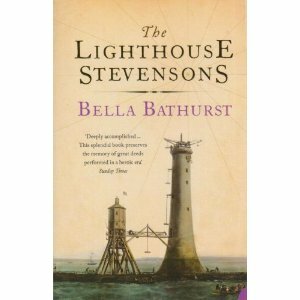 Thus began the illustrious careers of Robert Louis Stevenson's grandfather, father, uncles, and cousins. Together, they built 97 lighthouses, some of which still stand today. The Stevensons' extraordinary achievements in engineering, science, and optics, helped change the shape of the Scottish coast, often against incredible odds. Travel to the remote rocks and islands were fraught with danger, and workers were understandably hard to find. Meanwhile, building sites were often underwater, rough seas made supplies difficult to land, and hurricanes could wipe out a season's work in minutes. An incredible story told with elegance and verve. 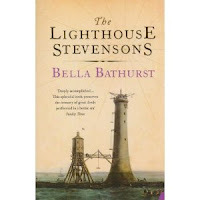 If you've ever had romantic notions about being a lighthouse keeper, this book is a cruel reality check, especially during the 1860s to 1940s. 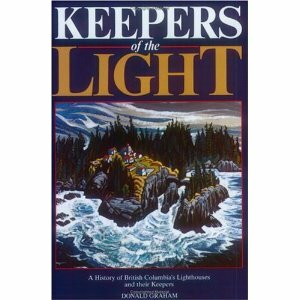 Isolation, combined with damp, cold, wind, and starvation, took its toll on many British Columbian keepers and their families. Mental illness, murders, and suicides were not uncommon. The mercury used to run the lamps didn't help, nor did poor pay and government indifference. Meanwhile, the seas were especially cruel, swallowing up keepers, livestock, food supplies, and, of course, ships. There are moments of heroism and fleeting glimpses of happiness, but most stories end in heartache. Best if not read before bedtime. Happily, things had improved a great deal in 1973. Peter Hill was then a nineteen-year-old Scottish art student with a lot of time on his hands. When a friend asked him what he would most like to do, he came out with lighthouse keeper. 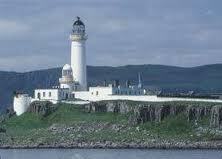 So began a summer working as a temporary keeper at three lighthouses: Pladda, Ailsa Craig, and Hyskeir. Loneliness wasn't a factor this time, as he always worked alongside PLKs (principal lighthouse keepers) and ALKs (assistant lighthouse keepers). 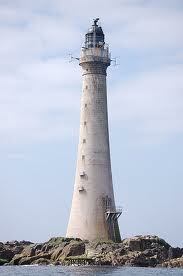 They showed him what to do, and often told him entertaining stories of lighthouse lore, filled with humour and horror. Lack of sleep led to interesting dreams, while foghorn-interrupted conversations, a trio of goats, and Hitchcockian birds added to the surrealism. The book is also a paean to a forgotten way of life.